Former Tottenham star Steffen Freund has claimed that Leeds United fans used to spit at opposing players at Elland Road. Freund, 49, spent five years of his career at White Hart Lane up until 2003, when he played multiple times against the Whites during one of their most successful eras in recent history. However while the Sky Sports Germany pundit appreciates the hostility when he travelled to West Yorkshire, he suggested that sometimes the supporters would take things too far. “The atmosphere is outstanding at Elland Road but sometimes you’d go to take a throw and they’d spit on you,” Freund told the Daily Mail. It probably isn’t like that at Elland Road for players anymore and the chances are that Freund’s experience at Leeds United’s ground is one that isn’t shared by too many in the last few decades. Leeds fans have made Elland Road a fantastic stadium to visit and the atmosphere generated there, especially this season, has been fantastic. 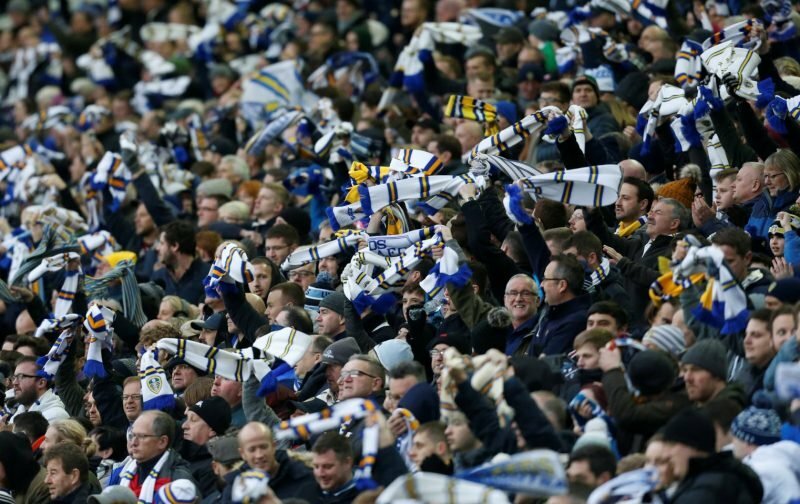 The club’s supporters have had a rough decade-and-a-half, but Andrea Radrizzani and Marcelo Bielsa have finally installed some belief back into the Elland Road faithful. Leeds are currently second in the Championship table after Kalvin Phillips scored a 101st minute equaliser against Middlesbrough on Saturday afternoon to help avoid what would have been a major blow. Norwich top the table, Sheffield United are third and West Brom are fourth. Leeds have hit a rough patch of form lately but they should be able to keep themselves up there by the end of the campaign.